How would Mr. Valentino celebrate Thanksgiving? Presumably, he would be hosting the annual feast at his pied-a-terre in New York City, the one looking over Central Park and that gem of a museum, the Frick Collection. And that setting would be apropos: Though Mr. Valentino's aesthetics don't run toward homespun Americana, they do endorse that oh-so-American virtue of celebrating diversity. 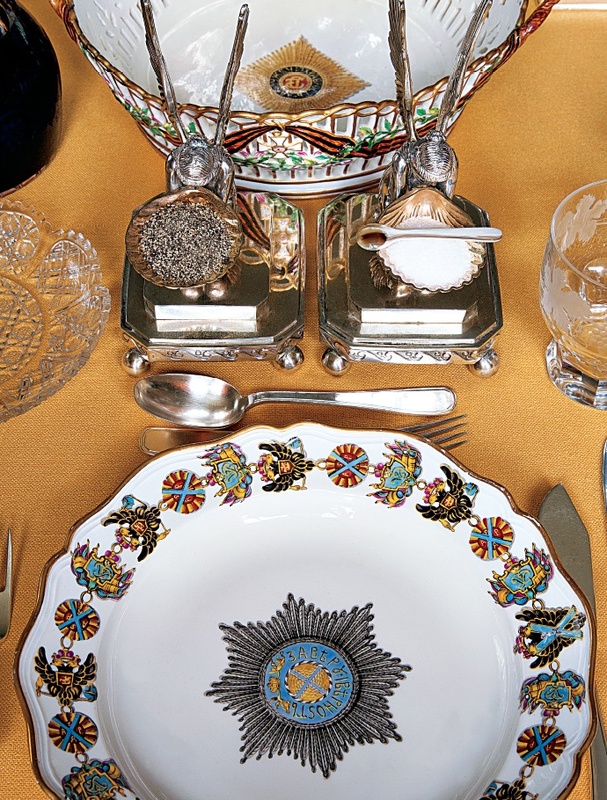 Russian dinner service sets, ruby red Irish glass, French porcelain, Mexican silver table service—it's the mix that makes the magic. Thanksgiving dinner at Mr. Valentino's would be an intimate gathering: The dining room table only seats a few. Perhaps the traditional roast turkey would served; the meal might be capped off by one of Mr. Valentino's favorite desserts, cheesecake—that New York classic—topped with a citrus gelée. 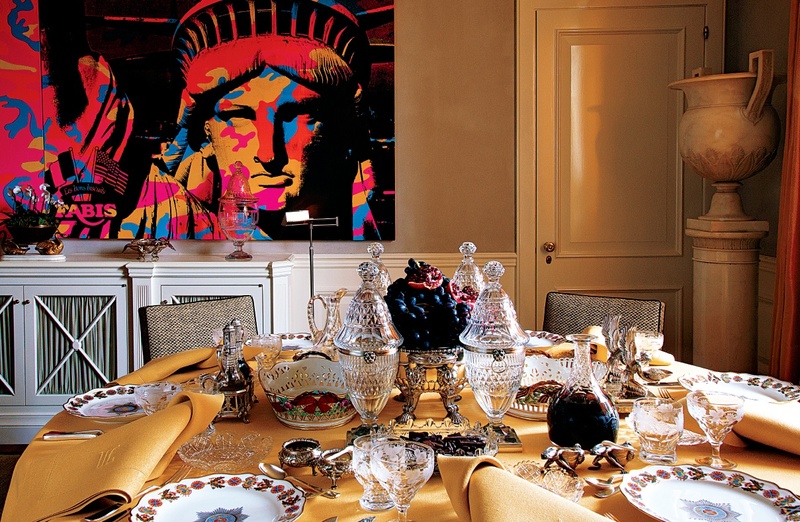 But Mr. Valentino's guests would be accompanied by a true VIP: Lady Liberty herself, presiding over the giving of thanks for America's bounty via Andy Warhol's 1986 painting "Statue of Liberty." That artwork hangs in the dining room, adding a flash of Pop color and a dash of American spirit to the elegant décor. What a lovely way to celebrate the holiday!